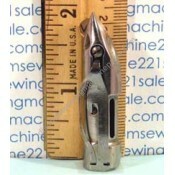 Welcome to our sewing machine shuttle hooks page. 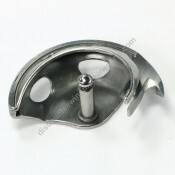 Here you will find a large selection of sewing machine shuttle hooks. 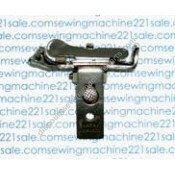 Click on any part to get more information including a complete listing of compatible sewing machines and alternate part numbers for a specific shuttle hook. 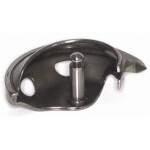 Original 301 hook and base sold complete as viewed: (170135 hook, 170166 base, 170160 gib, 170128 lo.. Shuttle race cover ONLY with race cap #129659051 attached. 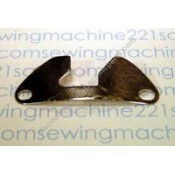 Fits front loading free-arm machines whic..
Sewing hook for all oscillatorsAlternate Part Numbers128581053, 28775, 47, 532096007, 74097.. 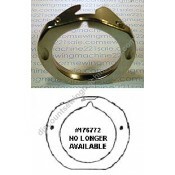 Shuttle race cap (spring) compatible with shuttle cover #128471051A.Alternate Part Numbers176790.. Very Limited Supply. Shuttle race cover ONLY with race cap #1903. 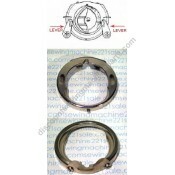 Fits many front loading zig-zag m.. 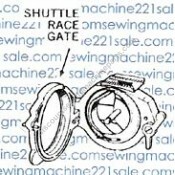 Shuttle race cover with race cap #Z17A for zig-zag machines. Fits many 15 class front and side load.. 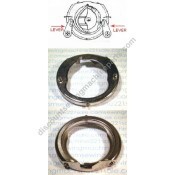 Fits the following Singer sewing machine models 15-525, 15-90, 15-91, 177C, 293, 5-88..
Alternate Part Numbers2515Fits the following Singer sewing machine models15-class.. Original shuttle carrier #54508 is no longer available as new, must be removed from a machine in our.. Original Singer shuttle removed from a machine in our inventory. Comes with bobbin threaded up and .. Shuttle race gate ONLY for models 237 and 239. After market made of white nylonAlternate Part Numbe.. Very limited supply, original no longer available as new, removed from a machine in our inventory. S..
Genuine Viking metal hook with black plastic insert with long post using Viking bobbin case #411 49 ..
Metal hook with black plastic insert with short post using Viking bobbin case #4120972-01.Fits the f..